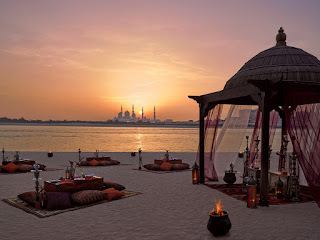 ABU DHABI – Shangri-La Hotel, Qaryat Al Beri, Abu Dhabi once again set themselves as the ultimate dining destination this holy month of Ramadan. 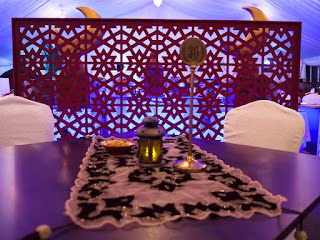 Guests may celebrate both Iftar and Sohour with family, friends and business colleagues the Ramadan Tent named Arabesque. 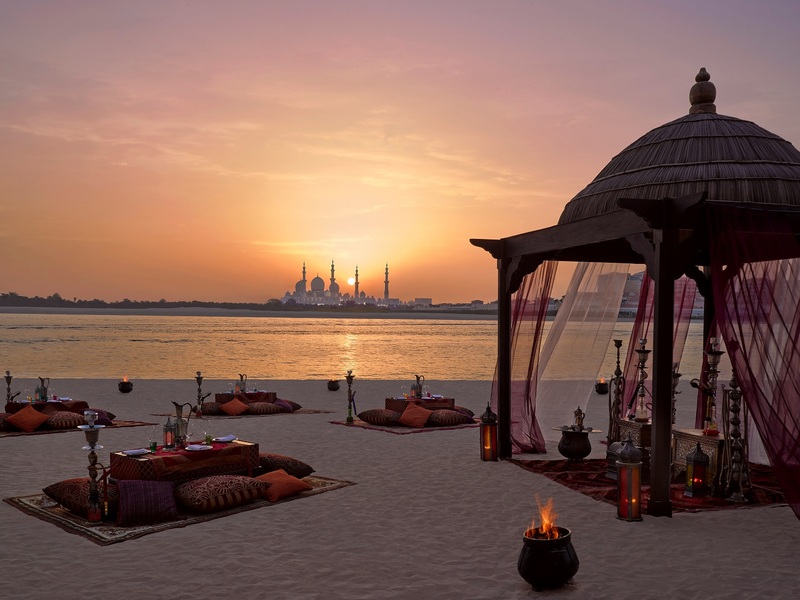 Best beachfront view of the famous Sheikh Zayed Grand Mosque and the calm waters of the canals. The capital’s most popular beachfront Arabesque Ramadan tent can accommodate up to 500 guests in its spacious 900-square meter area. 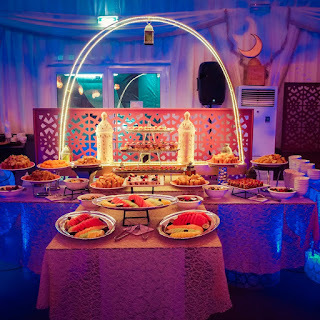 This unique venue offers magnificent views of the Sheikh Zayed Grand Mosque and has been favored year on year by Emiratis, expatriate residents and hotel guests. 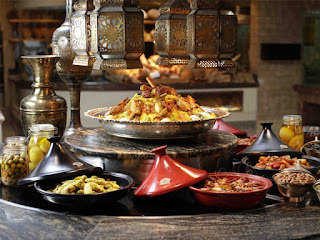 The combination of modern Arabic décor represented by Arabesque partitions for semi-private seating and ambient lighting sets the mood for memorable evenings; shisha, traditional Arabic coffee and tunes from the oud player in the background complement an à la carte menu of delectable cuisine. The Euro Cup 2016 will be broadcast live in the tent on large screen. 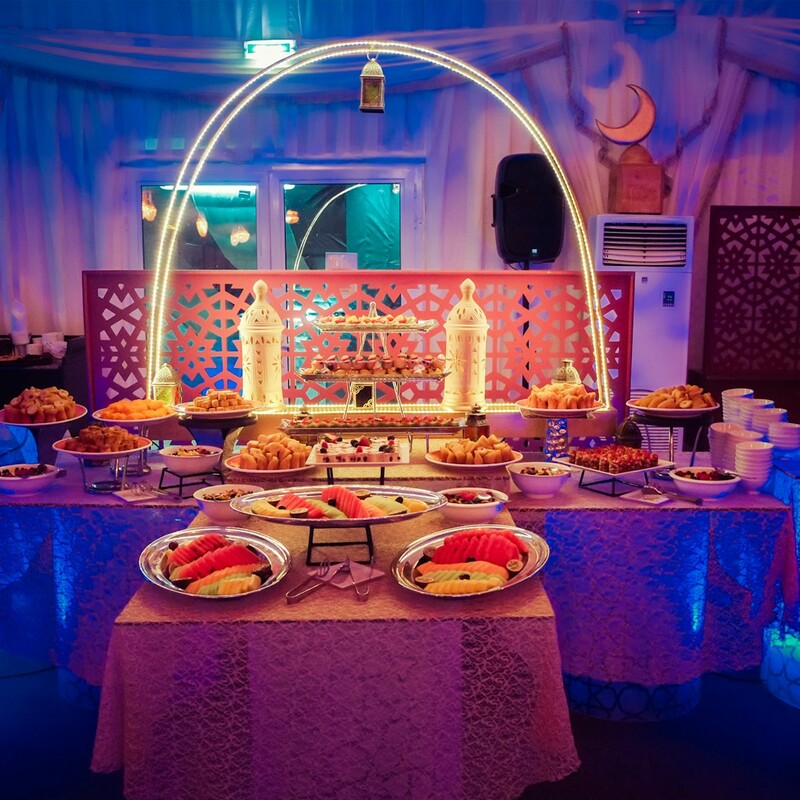 The Events team can ensure personalized corporate bookings of 100 to 500 guests for both Iftar and Sohour in the Ramadan tent. The Al Nojoom ballroom can accommodate smaller groups of 50 to 100 guests for private Ramadan events. A variety of menu options, including traditional Arabic specialties and international cuisines, can be selected with prices starting from Dh195++ per person. 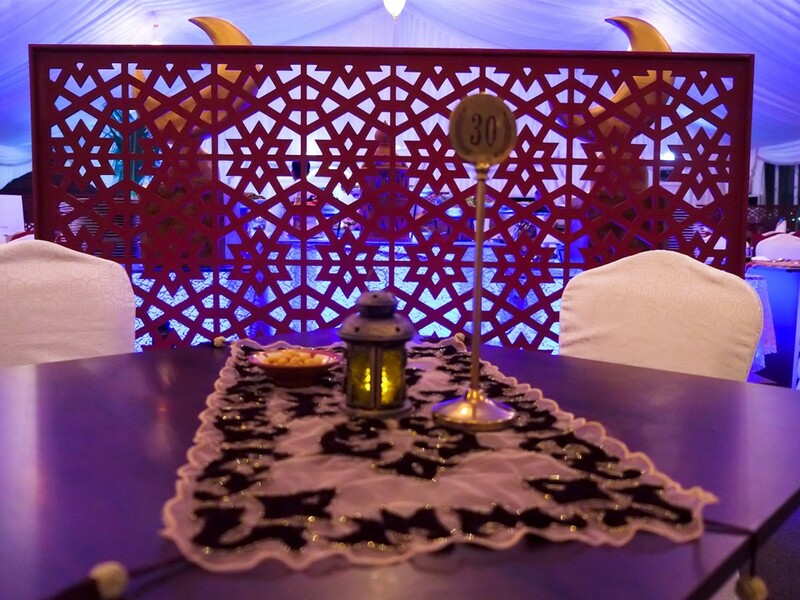 Sohour at the Ramadan tent is available from 8pm to 2am on weekdays and 8pm to 3am on weekends, with a minimum charge of Dh85++ per person. The oud player commences at 9pm daily. As part of an ongoing corporate social responsibility (CSR) initiative, the hotel invites guests to donate to the Make A Wish Foundation UAE to help make children’s wishes coming true. SMS to support Make-A-Wish Foundation by texting SLAD to 5555 for a donation of Dh50, 6888 for Dh100 or 7000 for Dh200. Hong Kong-based Shangri-La Hotels and Resorts ( http://www.shangri-la.com/ ) currently owns and/or manages over 95 hotels under the Shangri-La brand with a room inventory of over 39,000. Shangri La hotels are five-star deluxe properties featuring extensive luxury facilities and services. Shangri-La hotels are located in Australia, Canada, mainland China, Fiji, France, Hong Kong, India, Indonesia, Japan, Malaysia, Maldives, Mauritius, Mongolia, Myanmar, Philippines, Qatar, Singapore, Sultanate of Oman, Taiwan, Thailand, Turkey, the United Arab Emirates and the United Kingdom. The group has a substantial development pipeline with upcoming projects in mainland China, Cambodia, Hong Kong, India, Malaysia, Myanmar, Saudi Arabia and Sri Lanka.